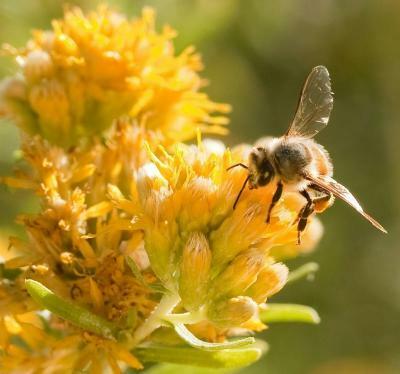 TEMPE, Ariz. – Scientists at Arizona State University have discovered that older honey bees effectively reverse brain aging when they take on nest responsibilities typically handled by much younger bees. While current research on human age-related dementia focuses on potential new drug treatments, researchers say these findings suggest that social interventions may be used to slow or treat age-related dementia. In a study published in the scientific journal Experimental Gerontology, a team of scientists from ASU and the Norwegian University of Life Sciences, led by Gro Amdam, an associate professor in ASU's School of Life Sciences, presented findings that show that tricking older, foraging bees into doing social tasks inside the nest causes changes in the molecular structure of their brains. 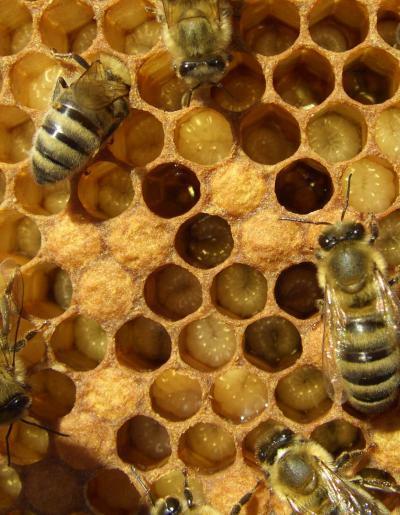 Young bees take care of bee babies called larvae. A bee larvae looks somewhat like a croissant, and each baby has her own hexagonal compartment inside the nest of the colony. The young bees patrol the nest and inspect each compartment to clean and feed the larvae. "We knew from previous research that when bees stay in the nest and take care of larvae – the bee babies – they remain mentally competent for as long as we observe them," said Amdam. "However, after a period of nursing, bees fly out gathering food and begin aging very quickly. After just two weeks, foraging bees have worn wings, hairless bodies, and more importantly, lose brain function – basically measured as the ability to learn new things. We wanted to find out if there was plasticity in this aging pattern so we asked the question, 'What would happen if we asked the foraging bees to take care of larval babies again?" During experiments, scientists removed all of the younger nurse bees from the nest - leaving only the queen and babies. When the older, foraging bees returned to the nest, activity diminished for several days. Then, some of the old bees returned to searching for food, while others cared for the nest and larvae. Researchers discovered that after 10 days, about 50 percent of the older bees caring for the nest and larvae had significantly improved their ability to learn new things. Old bees collect nectar and pollen. Most bees start doing this job when they are 3-4 weeks old, and after that they age very quickly. Their bodies and wings become worn and they loose the ability to learn new things. 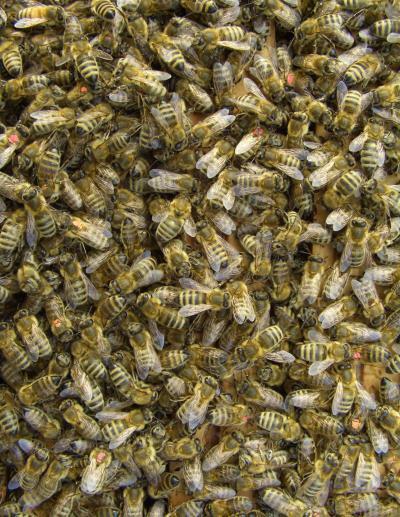 Most food collector bees die after about 10 days. Amdam's international team not only saw a recovery in the bees' ability to learn, they discovered a change in proteins in the bees' brains. When comparing the brains of the bees that improved relative to those that did not, two proteins noticeably changed. They found Prx6, a protein also found in humans that can help protect against dementia – including diseases such as Alzheimer's – and they discovered a second and documented "chaperone" protein that protects other proteins from being damaged when brain or other tissues are exposed to cell-level stress. "Maybe social interventions – changing how you deal with your surroundings – is something we can do today to help our brains stay younger," said Amdam. "Since the proteins being researched in people are the same proteins bees have, these proteins may be able to spontaneously respond to specific social experiences." Honey bees are highly social creatures. Each colony is home to 10,000-50,000 bees, most of them females.